ACCESS’ Chief Executive Officer Donna Thompson first saw the power of pharmacy integration when ACCESS began partnering with national pharmacy leader, Walgreens, on four co-locations less than four years ago. 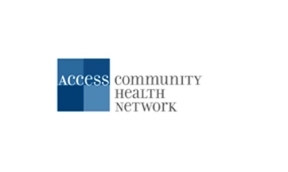 “At ACCESS, we are committed to integrating the right resources into our care teams to ensure that our patients have the best support possible,” said Thompson. “Working with partners that truly understand the challenges our patients face and that are actively working with us on solutions to positively impact the health and wellness of the communities we serve is powerful. It’s truly transforming how we approach and deliver care each day.” The students and existing clinical team build a coordinated care program, where students participate in daily huddles with lead physicians, while making drug therapy recommendations and helping to resolve patient issues. For more information, visit www.achn.net. © 1542 Chicago Hispanic Newspaper, Lawndale News, Hispanic Bilingual Newspapers, Su Noticiero Bilingue. All rights reserved. XHTML / CSS Valid.